Inside: Grab your free editable student accommodation forms! 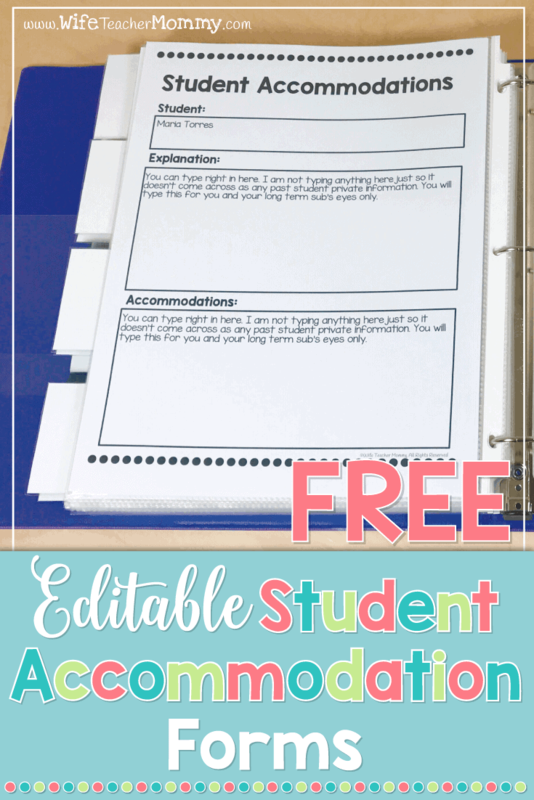 Looking for a way to keep track of your student’s accommodations? Whether you’re a special education teacher or a general education teacher, you will have use for these forms in your classroom. 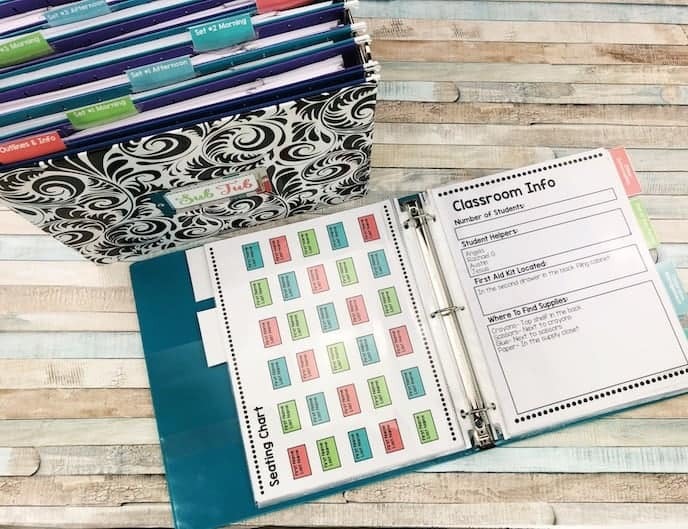 Not only are they perfect for you to keep track of accommodations for your own records, but they can also be especially useful for paraprofessionals, substitute, student teachers, or anyone else who will be working with your students who may need to know how to accommodate your students. Explanation: For you to explain anything that needs explaining about the student, why the accommodations are needed, etc. Accommodations: This is where you can explain the necessary accommodations. These student accommodation forms are FREE! All you need to do is sign up for the free resource library to download the editable PDF. 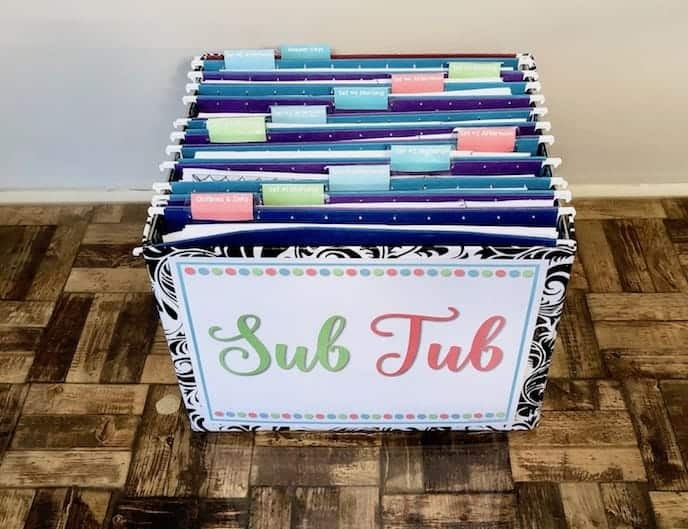 You’ll also have access to sub plan freebies, more editable forms, substitute punch cards, and more to make your planning easier! If you haven’t signed up yet, click here to sign up! 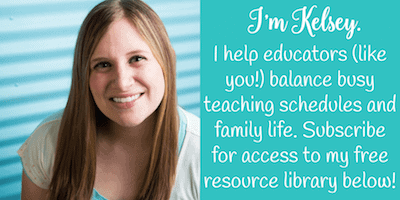 If you have already signed up for the free resource library, you don’t need to sign up again. Just click here and enter the password from your most recent email. Please note that you will need the latest version of Adobe Reader on your computer to use these forms. If you don’t have it, it is a free program. You can download the latest version of Adobe Reader here. Having tech issues with the forms? First, be sure you are opening in Adobe Reader, and not Preview or any other PDF reader or your web browser. If it’s still not working, you probably need to update your Adobe Reader to the latest version. Usually any issues like this are because the version of Adobe Reader being used is not updated.